There is no question that both Russian President Vladimir Putin and FIDE President Kirsan Ilyumzhimov are very alike - perhaps not in stature, but they both grew up and have benefitted, even flourished, in a period that saw the collapse of the Soviet Union and its replacement with today's Russia. It is not difficult to read about how both these men rose to power, needless to say corruption on a scale and audacity beyond imagination was a big part of it, but what is often glossed over is the means which meant a trail of victims, from political and business rivals to critics who paid the price, but always at the expense of the rights and livelihood of citizens, all who are clearly considered to be no more than collateral damage. A pattern repeated again and again is an absolute denial of facts together with demonisation of opponent(s), which is then eventually followed by a too good or dare you refuse offer to be part of the system, failing which there follows a vicious, often extra-legal prosecution made through all means available. I am a Malaysian first and it is simply horrific to me what has happened with MH17 and the subsequent Russian response, at the same time I am also a chessplayer of some standing in the game internationally and have been completely shocked at the lengths the incumbent and his team have basically descended to in trying to win the coming FIDE election. While by far the bigger crime is MH17 where 298 people from 11 countries (between 10-12 countries depending how you count dual citizenships) are all innocent victims - and I must say I despair if indeed the all powerful man clearly ultimately responsible will ever be held to account - however, in the lesser wrong where the delegates who will decide the FIDE election have been subjected to outside state power, threatened, and/or bribed or have had their vote removed from them and even suffered the legitimacy of their National Chess Federation decided administratively or by henchmen in committee, it is still in our hands. A look around the world today shows it is in serious turmoil, the very foundations of civilisation as we know it showing signs of collapse, and this is not because of religion, a choice between one or another, or the absence thereof, neither is it a question of ideology. It is because we are allowing a fundamental universal right - that of democracy - to be taken from us. a state governed by a democracy. In 19 years FIDE has become unrecognisable, it today only exists to benefit a few through taking from its members. Its sponsorship is ad-hoc and almost completely dependent on Russia which is often willing to rescue major events for its own prestige, and I would argue that all that is good in chess today is the result of the activities of the many all over the world who love and sacrifice for the game irregardless of the current FIDE. 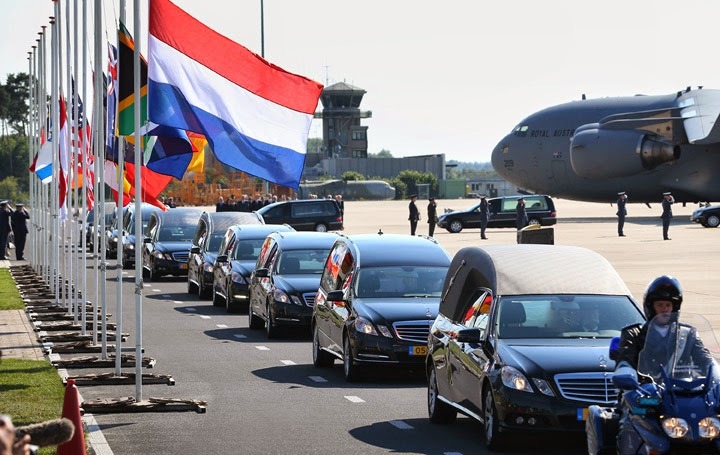 What has happened to Ukraine caused the tragedy that is MH17. It is Putin, not Russia, who brought this about and there is not a lot we can do about it except to demand our governments and the international community act, but then again if we do still have the right to vote then we could at the next election throw our leaders, those who are supposed to represent us and our interests, out! The right to vote, to choose, is the very basis of democracy in action, and with the coming FIDE Elections we have that opportunity. 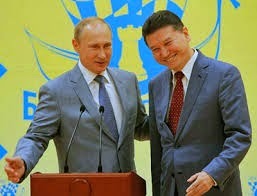 If you are a delegate, and if not you do still have a say assuming that you love chess and do believe in democracy and that it must be preserved for now and future generations, and knowing what Ilyumzhinov is and represents, see what and his kind is is doing, can you still vote for him in all conscience? Remember the vote represents what you stand for... one simply cannot wish to be together with the likes of the Putins and the Ilyumzhinovs.